America’s historical sites are in jeopardy. The art of the double cross is in full swing on both sides: the “good” guys and the “bad.” No one can be trusted, and no one is safe. Eddie Montanaro appears to be an everyday citizen of the United States, but he is really Ali “the Cat” Armeni, a soldier for the United Pakistan Army Commando (UPAC)—at least for the time being. Eight months ago, he terrorized Seattle and the aviation industry. Ali now hits the road for psychological attacks against America—to instill fear and worry—and to find some possible recruits. 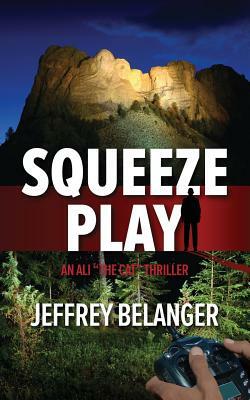 Scott Belgrade, basketball coach, father, husband, and consultant for the FBI, is once again on the tail of “the Cat” with FBI Agent Mike Russo. Will the good guys arrive in time to save a national treasure? Will “the Cat” land on his feet yet again?